We know the idea of chatbots can be a little intimidating. After all, while some robots warm our hearts others–well, they kind of freak us out. But the truth is, robots aren’t here to take over the world. They’re here to make life easier. In this guide, we’ll show you how to leverage chatbots for the incredible tool that they are: Taking on the burden of time-consuming tasks, and allowing you to better serve your customers in ways that matter most. To do that, we’ve teamed up with the Sprout Social chatbot experts as well as conversational marketers at Drift to bring you the best strategies for leveraging chatbots for business growth. Update: Sprout Social and Drift are collaborating on an upcoming webinar on how chatbots can build a more efficient marketing funnel. Save your seat now! Chatbots leverage chat mediums like SMS text, website chat windows and social messaging services across platforms like Facebook and Twitter to receive and respond to messages. Chatbots come in all forms. 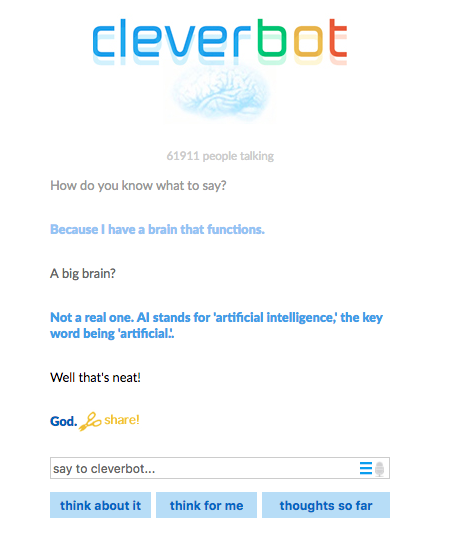 There are some fun and goofy chatbots like Cleverbot, a chatbot that chats with real people and learns as it goes. While they aren’t a new business tool, the utilization of chatbots has certainly gained momentum in the last few years. Data from Google Trends shows over the last five years, search volume around “chatbots” grew 19x as individuals and businesses began to realize their value. But the questions then become: What types of business bots exist? How do bots save time and create a better experience? What do end users want to achieve when using these bots? 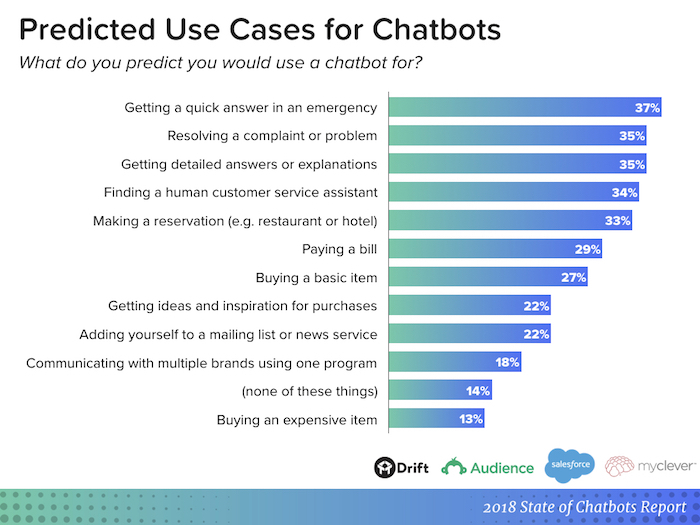 To answer these questions let’s dive into data from Drift’s report: The State of Chatbots. The data shows that you need to start leveraging chatbots to streamline customer communications, success and sales. However, chatbots aren’t just convenient for your consumers, they’re also great for your business. Think you’re ready to start building chatbots? Learn how Sprout Social can help do just that and automate your social media marketing. One way to stay competitive in modern business is to automate as many of your processes as possible. Evidence of this is seen in the rise of self-checkout at grocery stores and ordering kiosks at restaurants. 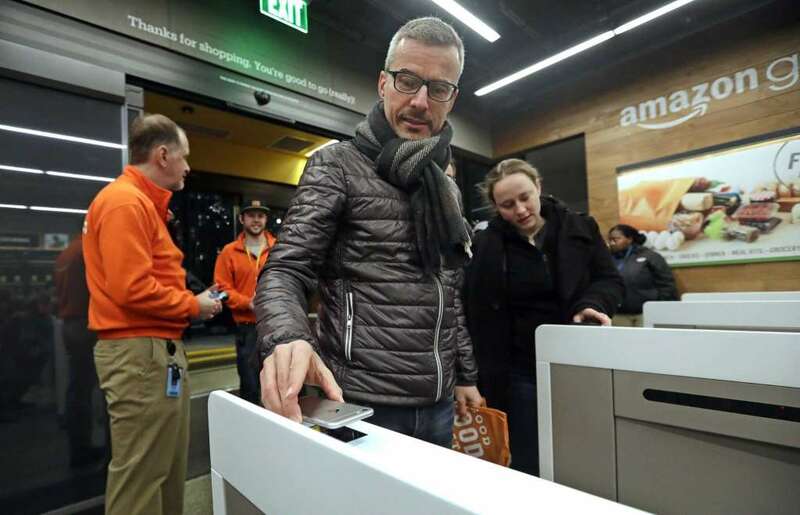 In fact, Amazon just opened a store without any cashiers or self-checkouts, limiting human interactions to those only absolutely necessary. Instead of having your reps spending all of their time answering inbound questions, those individuals reallocate time to proactively finding relevant conversations to join with social listening tools. The amount of time you save increases as your inbound message quantity increases. And since Sprout Social research shows the number of social messages requiring a response from a brand increased by 18% from 2015 to 2016, you save countless hours by automating responses with a chatbot. Automating this initial interaction allows users to share the information needed for the agent to better serve them without requiring a human to ask for it. For example, Drift’s website chatbot qualifies prospects and gathers their email addresses so a sales rep can follow up. This chatbot automatically delivers qualified leads to the sales organization while also fighting the fatigue caused by answering the same questions over and over. You’ll find the team is happier with more quality leads and time to spend on more meaningful work. Customers don’t always know where to go to find the information they’re interested in. In fact, your customers may not even know what it is they’re interested in. Maybe they just heard your brand name in passing and decided to explore. By asking a series of qualifying questions, you route users to the best place for them to find the information they want. Imagine a global organization such as an airline. Between departing locations, arrival locations, potential upgrades and a myriad of places to purchase tickets, there are an almost infinite number combinations for purchase. By personalizing the questions a chatbot asks, those airlines direct customers to the best way to buy and create a better user experience. This seamless user experience makes the painstaking process of planning a trip much easier for both the user and the business. As we saw from the Drift data, the most popular use of chatbots is to provide quick answers in an emergency. However, organizations that don’t offer 24-hour support won’t provide answers when the office is closed. By using a robust chatbot when your business is closed, customers still gain access to the information they need. This is especially important as consumers expect a quicker response than brands can guarantee. 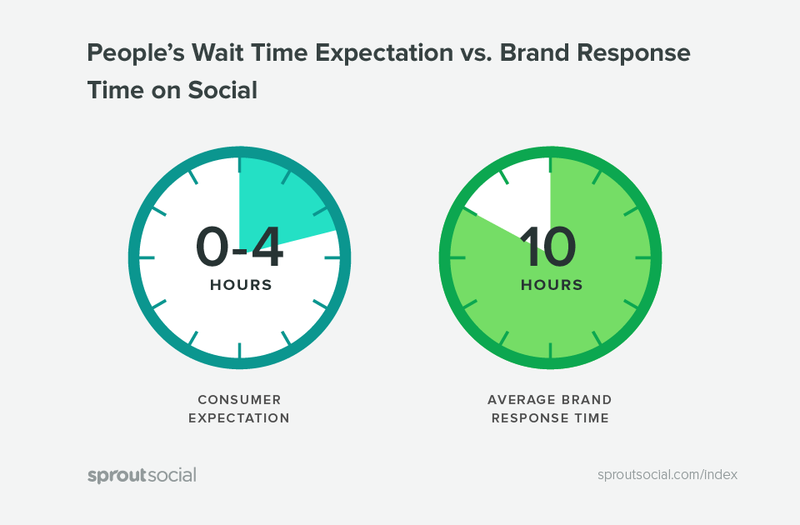 According to Sprout Social’s Q2 2016 Index, customers expect a response between 0-4 hours. However, brands typically take 10 hours to respond. Chatbots help you significantly decrease the average time to respond, bringing you closer to your customers’ expectations. Traditionally, customer questions were routed to businesses via email or the telephone, which made user experiences fairly standard and non-customized. But chatbots offer a new, fun and interactive way to engage with brands. 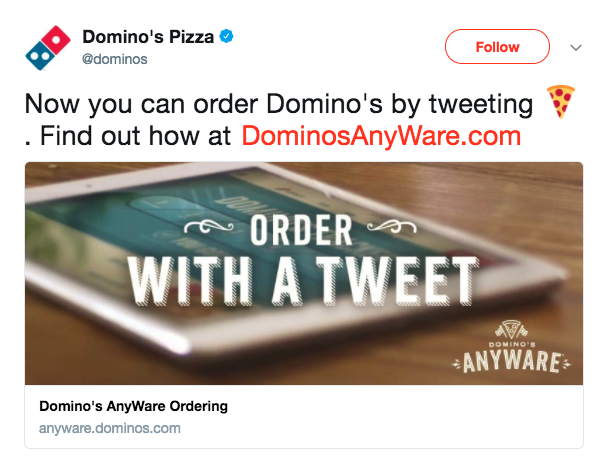 One great example is Domino’s Pizza’s Twitter. Domino’s allows customers to order pizza by simply sharing an emoji. The Domino’s bots then route those orders and ask additional questions if necessary. Another great chatbot example comes from Fandango. Unlike the days when you had to spend time sorting through Moviefone’s options via its 1-800 number, you now go to Fandango’s social profiles and leverage its chatbots to find movie times and theaters near you. These seamless and memorable user experiences ensure that your users will think of your bots the next time they’re looking for dinner and a movie. Are you curious to learn more about social media chatbots? Fill in a bit of info below and someone from Sprout Social will reach out to discuss how to build Twitter and Facebook chatbots! Eager to start creating your own chatbots? Who wouldn’t be. Once you get beyond the initial fear of letting a bot assist you, the idea of creating and launching your own is exciting. Think of all the time you’ll save for new activities. We’ll walk you through the most important things to consider and the steps to walk through when getting started. With such a wide spectrum of interesting use cases to choose from, it’s tough to nail down a specific goal for chatbots. Spend time doing some discovery at the onset to define your goal and then start to craft your use case. Are you looking to resolve customer service issues? Promote a new product? Or generate quality leads? In order to find out which use case will be most effective for you, chat with your website and social media teams. If your social team finds they can’t keep up with the number of messages on certain networks, you may want to leverage bots on those channels. If your website team is seeing low conversion rates, that may be something a bot can help increase. Whatever the case, be mindful of what you’d like to accomplish as you begin to build out the experience. Someone coming to your homepage is likely more knowledgeable of your products than someone who gets to one of your blog posts, and your bots need to be programmed accordingly. Similarly, since demographics differ for each individual social network, someone who visits your page on Facebook is likely not going to be asking the same questions as those that go to your Twitter page. 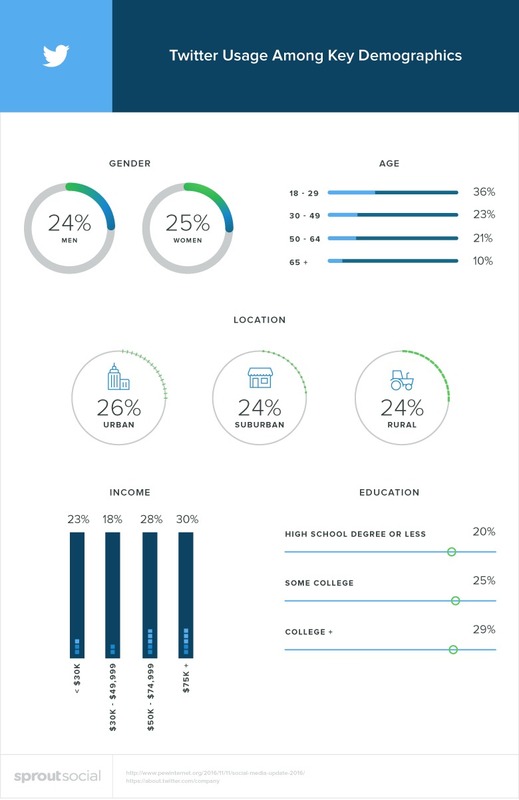 Study the social media demographics by social network to get a better understanding of those differences. Gather as much information on your audience as possible, then use it to guide the questions you ask in step three. Next, figure out what content you’d like customers to engage with throughout the chatbot interaction. Try starting with FAQs. Think about what questions customers are likely to ask your chatbot, that way you build out the proper flows to guide users to the best possible answer. If you’re unsure of the frequently asked questions, look internally to teams that interact with your customers. Customer Service: Your customer service reps likely talk to your customers more than anyone else at your company. Ask them what trends they see in customer questions. Sales: Your sales reps probably chat more with prospects than anyone else. Figure out what questions stop a user from converting to a customer. Marketing: Your marketing team, and mostly your social media marketing team, will have insights on why individuals reach out to you on social channels. These questions are crucial for your social media chatbots. Quora: Quora is a site where users can go to ask questions about anything, including your organization. See if there are any questions including your brand. If you see any trends in questions being asked, you may want to consider adding them to your chatbot. If you choose to be more creative and opt for a more marketing-focused experience, evaluate what existing content you have that best supports your goal before creating new content. If you haven’t yet, now is the time to bring in your creative team. Giving your bot a personality humanizes the experience and more closely aligns the chatbot with your brand. To let customers know they are talking to a bot, many brands also choose to give their bot a name. This gives them the opportunity to be transparent with customers, while fostering a friendly tone. Make sure to invite copywriting teams into the process to set clear guidelines and a consistent voice for your chatbot. 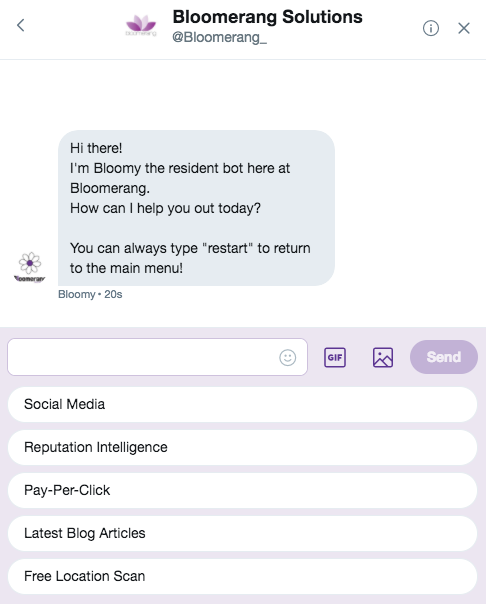 The welcome message is incredibly important for engaging users and getting them to respond to your bot. The best opening messages we’ve seen are those that are compelling, set expectations and ask questions. Just because it’s automated doesn’t mean it has to sound robotic. Refer back to your bot personality and have fun with your message to get users to engage. Just make sure to maintain your social brand voice. First, let customers know they’re chatting with a bot so they understand potential conversation limits. Second, let customers know how and when they will chat with a real person. Once you’ve hooked your audience, ask them questions that will keep the conversation going. Use the important questions you found in step No. 3 to make sure you’re satiating customer needs. Below is an example created just for this guide. The bot welcomes users with a fun waving gif to get things started. 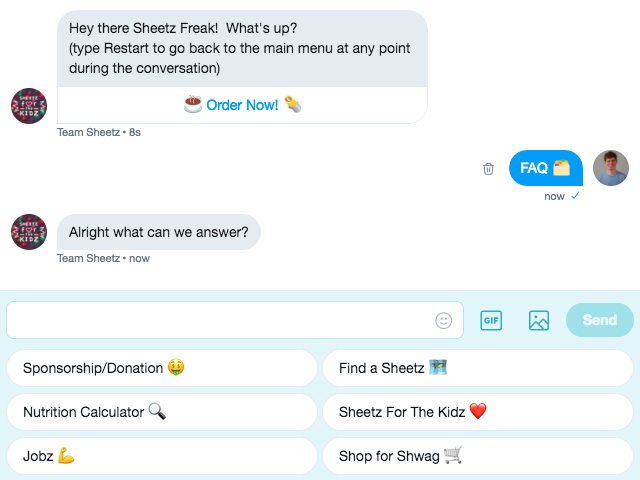 After that, the bot mentions this is an exclusive chatroom and compels users to answer the question by mentioning they are getting started on their very own, personalized journey. Easter eggs can be fun too–do you recognize the Doctor Who and Harry Potter references within the above screenshot? Once you ask the first round of questions, start mapping out what the conversation journey may look like. You can do this with a chat tool like Sprout Social, or if you’re not quite there yet, start with building paths using shapes and arrows in Google Drawings. This example looks at a fictional restaurant which needs to communicate things like store hours, specials and loyalty programs. Add all of the questions your user may want to ask you as possible replies they can click. For each of the questions you’ve asked, figure out the best responses users can choose. Create multiple responses for every question that you ask so you’re more likely to satisfy the user’s needs. Now for every question you ask, and each response available for the user to choose, you must continue to build out the conversation. Some conversations may stop after one question, and some conversations may span multiple levels. Spend time making sure that all conversations fully satisfy customer needs. When the conversation gets several layers deep, it may be time to push that user to a live representative. If you ever get lost, you can easily preview the entire chatbot experience in Sprout’s Bot Builder. Create more compelling messages by including emojis, images or animated GIFs to your chatbot conversation, even if it’s just a wave hello! Not only does media bring more personality to your messages, but it also helps reinforce the messages you send and increases conversation conversion rates. See how one small emoji from the Sprout Social Twitter bot brightens up the chat (no pun intended). The chatbot interaction culminates with the call to action once a user has responded to all of your questions and is ready to move forward. Your call to action is a button you can add to your chatbot conversation to drive users to a specific goal. Use call-to-action buttons to lead consumers to a specific product category or page on your website, to share their experience with a friend on social or directly to the checkout page. Your bot can be your most valuable conversion tool by pushing users to their final destination. Think carefully about where you want your customers to land. This is important because the interaction with your brand could lead to high-value conversions at scale, without any manual sales assistance. When we continue to interact with the Sprout Social Twitter bot, our social team leverages CTAs to push interested users to the proper pages to find more information. As you can see, chatbot journeys can quickly become complex maps of conversation. In order to make sure that all users are finding valuable information, and not getting stuck or frustrated with your experience, make sure to test every single possible interaction. Most chatbot platforms have live preview functionality, so you can test all of your flows without having to push your bot live. Once you finished all of the above steps, you’re ready to push your first chatbot live! Just make sure to monitor users as they interact with your bots to make sure there are no leaks in journeys or places individuals consistently get stuck. Follow these 12 steps and you’ll be well on your way to building a chatbot experience customers love. If you get lost, or would like to chat with a chatbot expert, don’t hesitate to fill out the form below and someone from our team will be in touch. You now have a better sense of how to create your own chatbots, but step one of that process raises an important question: how do you choose which platforms to leverage? At Sprout, we believe it’s key to engage with customers where they are. And with the increase in messenger platforms for business, one of the most important channels is social. Just look at the Google Trends report for how frequently businesses search for “messengers for business” and you’ll see a recent spike. We additionally see the increase in messenger needs with the rise of message-based social apps like Kik, WeChat and WhatsApp. As these services become more popular for users, they emerge as important channels for business. 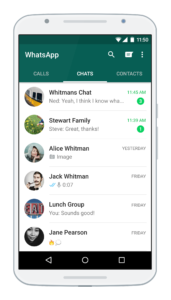 With over 1.3 billion users, WhatsApp recently released an application just for businesses to more effectively communicate with its users on the site. Additionally, this suite of tools includes the ability to create chatbots. These tools are great for companies all over the world, and over 80% of small businesses in India and Brazil say WhatsApp helps them both communicate with customers and grow their business today. While we consider these social media applications, within this guide we’ll take a deeper look at tips and strategies to create great Twitter and Facebook chatbots specifically. When you add Twitter chatbots to your marketing and customer service strategies, remember that successful bots add value and improve the user experience. The first rule to remember: Any and all experiences should facilitate a bot/human handoff. While bots can make Twitter conversations simpler and easier, they should never totally replace the human experience. 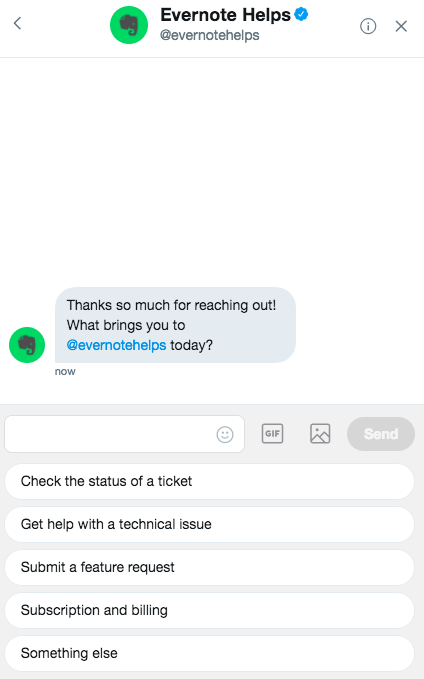 For example, leading eCommerce platform Shopify uses a simple automated message on their support handle before connecting the customer to a human rep. Letting the customer immediately know that they’ll be taken care of keeps them from reaching out across multiple channels, saving you additional resources. The word chatbot does not necessarily imply NLP (neuro-linguistic programming) and AI (artificial intelligence). 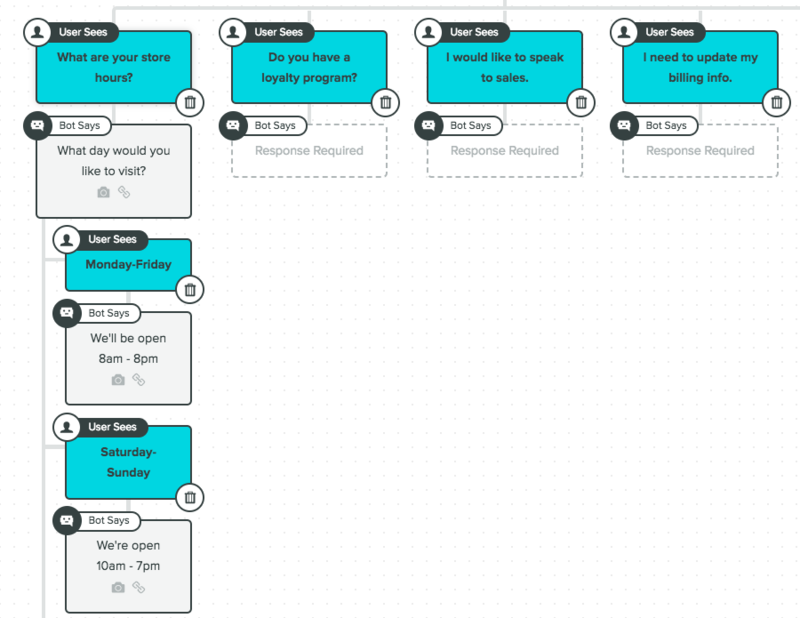 Start with intuitive, rules-based conversational workflows to guide users to the proper places. Twitter Chatbots offer a new way to scale personalized one-on-one engagements. Create unique brand experiences in Direct Messages that complement a socially-driven marketing campaign or multi-channel business objective—like customer service. One unique experience comes from the Royal Dutch Airlines handle. This chat pushes users to a helpful message showing their departures, gates and other points of interest. While there is currently only one map you can see their social team is building out additional locations. Creating a Twitter chatbots can be safe and approachable—really. Using a tool like Sprout Social allows you to build and deploy new Twitter chatbots in minutes. Sprout’s intuitive Bot Builder includes a real-time, dynamic previewer to test the Twitter chatbot before setting it live. It’s important that people engaging with your brand in Direct Messages understand when they’re dealing with a chatbot versus a human. Give your bot a unique, branded identity by giving it a name and selecting a custom avatar that helps establish clear expectations with your audience upfront. Use a welcome message to set clear expectations: Say hello, ask a question and provide instructions on how to get started. A friendly welcome message with accompanying quick replies will drive people into specific experiences with minimal education. The Sprout Social handle welcomes users with a friendly message and sets the expectation that users are chatting with a bot, but can easily navigate to a human if they would like. Also note the use of a reset button which resurfaces the menu. It’s important to give users the ability to start the chat over if they misclick a response or change their mind on an answer. It’s critical to define what your Twitter chatbot can do and how it can provide help. With intelligent and clear quick reply options, you can prevent people from getting frustrated or attempting something unsupported. An excellent example of built-out Quick Replies comes from Etsy. This gives Twitter users a series of options to keep conversations flowing. Use the Twitter toolset to your advantage. Create bots that communicate with style and personality. Include fun copy and hashtags in the messages, and utilize emojis in quick reply buttons to create visual cues that complement the accompanying text. 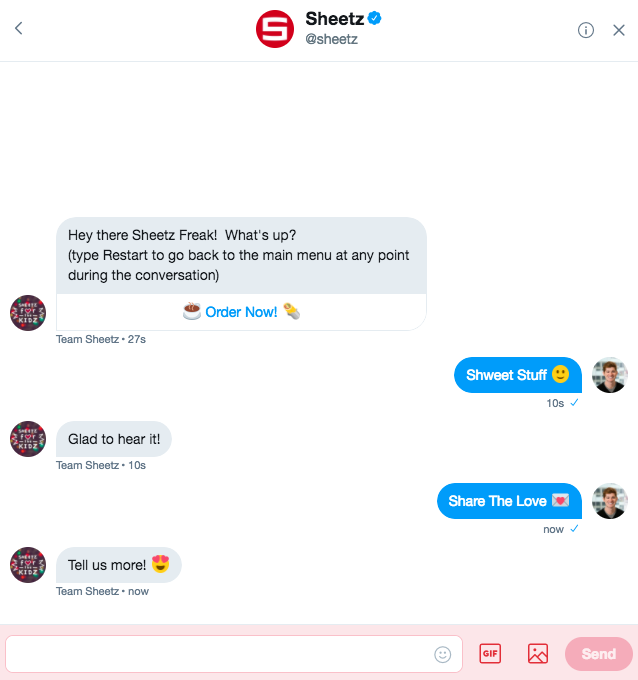 A great example of emoji use comes from Sheetz, a convenience store focused on giving customers the best quality service and products possible. These emojis were chosen well and all are relevant to the messages that accompany them. Adding quick replies to your welcome message is just the beginning. 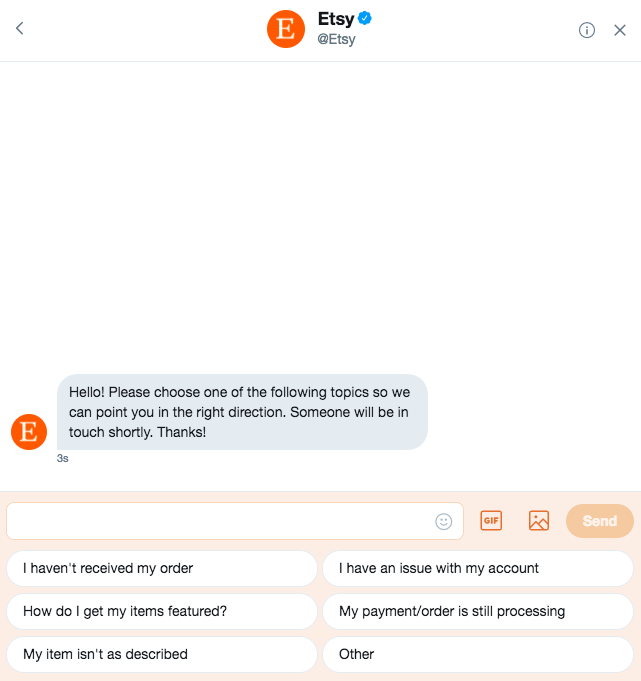 By creating a unique auto-response for each quick reply option, your Twitter chatbot can continue the conversation and guide people to next steps. Sheetz is also great at keeping the conversation going. They include a ton of relevant responses to continue the conversation, no matter what you’re looking to discuss. Just as people like to press #0 on the phone, include a way to reach a human or get out of a structured set of questions. Consider including a Quick Reply for “Speak to an agent” or simply a generic “Something else” option. Always provide a way to connect to a human. Twitter Chatbots can automate repetitive tasks (like gathering information) and set needed context, leading to a more informed exchange. Success means faster resolutions and happier people on both sides of the conversation. Automation helps power human agents and streamline the customer service experience. When simple, repetitive tasks are offloaded to a bot, human agents are provided the required information and given more time to resolve complex issues. 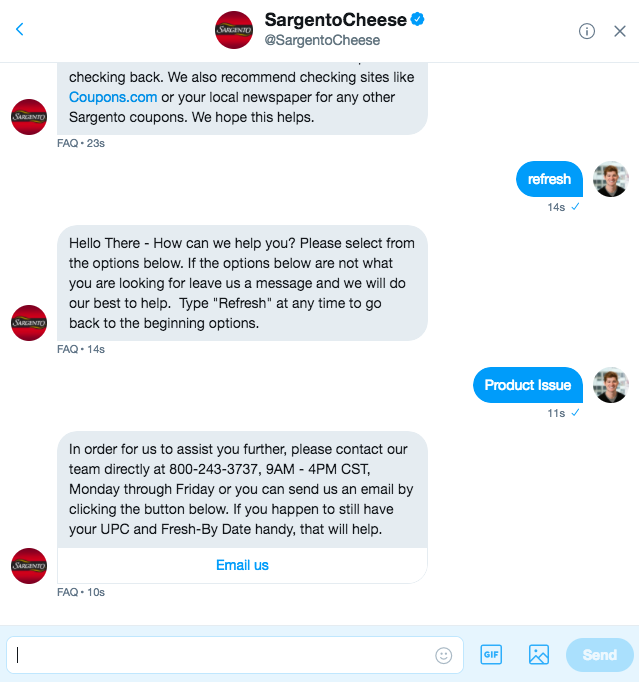 Here’s an example of Sargento expertly handling an inbound product issue with their Twitter chatbot. By also asking customers to keep their UPC and Fresh-By Date handy, this will save valuable time for the customer service agent when they get in touch with that customer. Twitter Chatbots allow you to engage with your community in a new way by automating a unique conversational journey in Direct Messages. Unlocking this new marketing channel can create an enjoyable, interactive brand experience that supports existing campaigns—or creates new ones. Twitter chatbots shouldn’t be siloed by department or objective. By providing multiple Quick Replies options, a single chatbot can seamlessly blend the worlds of customer support and brand marketing with fun, engaging content and helpful service. Is your chatbot a good experience for your customers? Find out by getting automated, in-the-moment feedback. Here’s a look at how Microsoft automatically gathers feedback on chatbot experiences for their Xbox product. The team can then use this information to better inform their chatbot strategy moving forward. If Facebook Messenger Chatbots aren’t high on your list of marketing assets, it may be time to reconsider that decision, and here’s why: Its adoption rate. One billion people now use Facebook Messenger every month. Facebook chatbots have changed the way consumers and brands interact on the world’s largest social platform. 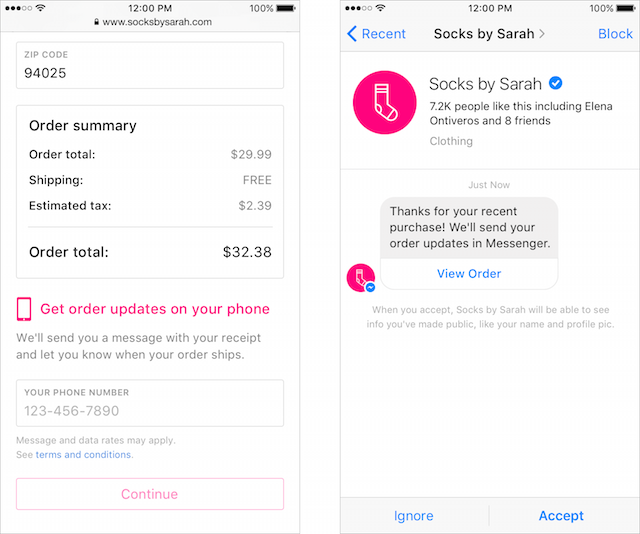 Today, over 100,000 bots are being used on Facebook Messenger to collect information, make product recommendations, take orders and even to advance social good. The ability to send and receive text, images and rich bubbles with CTAs. Message templates that let people tap buttons and use other visuals to interact with your bot. Should You Create a Facebook Messenger Chatbot? As a marketer, it’s tempting to want to try out the newest tools, but you have to ask yourself a few questions before diving in. Are your customers using Messenger? First you need to determine if your audience has a strong presence on Facebook. If not, then the chances they’re using Messenger are slim and any effort to develop a bot would be wasted. Do you have a use case? 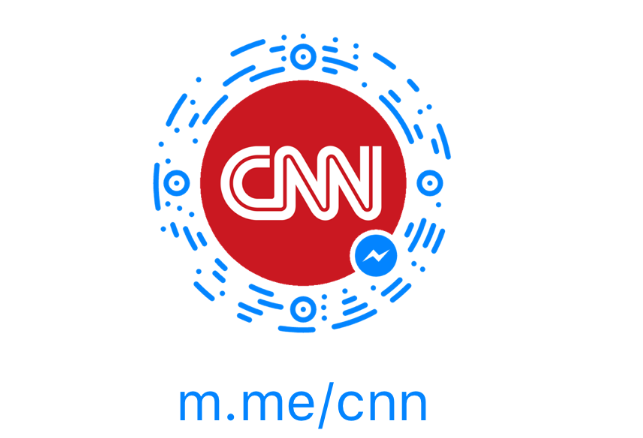 Your Messenger bot needs a purpose. Wanting to create a presence for your business in Messenger isn’t a strong enough reason. You have to think about your customers and whether or not it’ll provide value for them. Keep in mind this isn’t another version of your website. You need to think about how people use mobile, and if the type of interactions your customers want to have with you are a good fit for a mobile platform. Do you have time to support it? 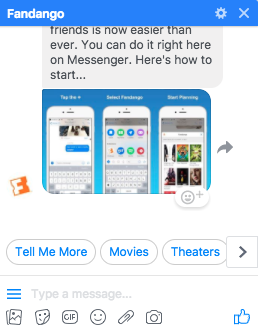 Your relationship with your Messenger bot doesn’t end once it’s built. You need to devote time to promoting it and monitoring the customer experience. You’ll also want to keep a close eye on incoming questions for anything your bot can’t answer. Before you create a bot, define the experience you want to create for your customers. What are your social media goals? Are you creating a bot for utility or simply for entertainment? Understanding what you hope to accomplish will help you create the best experience for people interacting with your bot. The next thing to consider is what you want people to do. What actions do you want users to take? Is it a simple process or are there multiple tasks you want them to complete? Think of how these things are done outside of Messenger first and then use that information to design your interactions within Messenger. As always, the engagement doesn’t have to stop when the action is complete. Consider different ways you can keep the interaction going. Just be sure to limit your focus to a couple key areas. Trying to do too much can create confusion and dilute the experience. 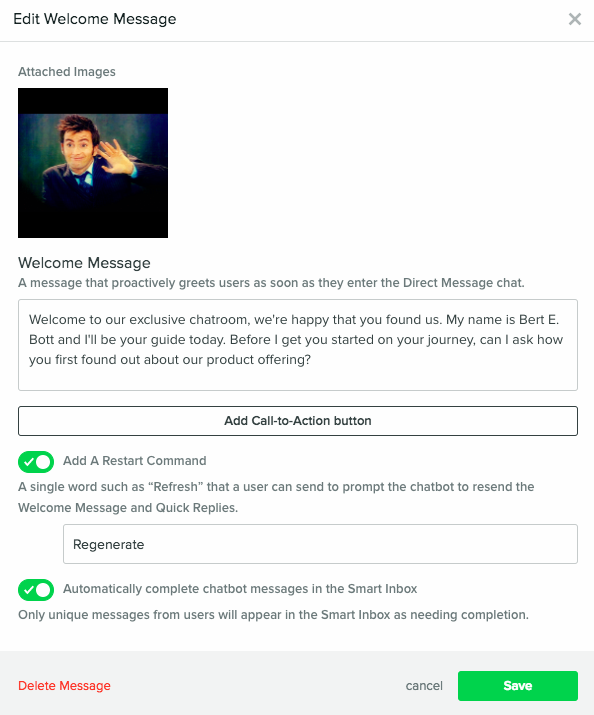 Once you’ve built your Facebook Messenger bot, potentially through a social media chatbot tool like Sprout Social, you need to get it in front of your audience. Though many people will come to your Facebook chats organically, you can also proactively promote your bot for more conversations. The conversations will take place in Messenger, but that doesn’t mean customers who find you on other parts of the web will miss out. Facebook has created a variety of ways for people to discover your bot. Web plugins live on your website and allow users to start a conversation with you by sending messages with Facebook Messenger. If you decide to leverage web plugins for Facebook Messenger, make sure you’re ready to handle the increase in inbound volume. This feature allows you to reach people in Messenger if you have their phone number and their consent to be contacted. Any conversation initiated this way will be received as a Message Request. This allows people to be reached by the bots they want to interact with. Messenger codes and links can be placed anywhere on your site to invite people to start a conversation with you. With Messenger codes, people use the camera on their phone to scan the image and find you on Messenger. Messenger links are short URLs people can click to instantly start a conversation with you. You’ll find that in no time at all you’ll have tons of meaningful conversations with your current or potential customers. We’ve come a long way from the days of “live chat” on websites. These days chatbots are intelligent and capable of completing a host of different tasks. Everything from booking meetings with sales reps to pushing prospects further down the funnel with engaging content can be done. 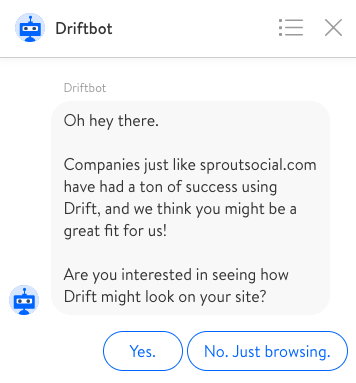 Leading the charge in chatbot innovation is Drift, which launched its conversational marketing platform less than two years ago. With Drift, businesses can connect with website visitors on a one-to-one basis, and book meetings prospects in real-time, all with the help of a chatbot. Drift isn’t just building bots–they’re leading the conversational marketing revolution. That’s because bots have the ability to make engaging with prospects and customers as seamless as possible. Chatbots are smart enough to know when a visitor opens a sales email and then visits a landing page. With the help of Drift, sales and marketing teams can use chatbots to trigger conversations with prospects on their terms, when they need assistance the most. At Drift, the purpose of chatbots is to make it easier for people to buy. Chatbots can be leveraged as a tool that replaces many of the steps in the typical B2B buying process, resulting in greater sales velocity and more closed deals. One area where Drift has seen tremendous growth is in the use of chatbots and Sequences, an email tool for sales teams. When sales reps plan and send emails using Drift Sequences, they can track all the typical email engagement metrics. But what’s really powerful is the platform’s ability to connect prospects in an email sequence to engagement on a website. For example, a rep might send an email that a prospect doesn’t reply to right away, opting to visit the website instead for information. 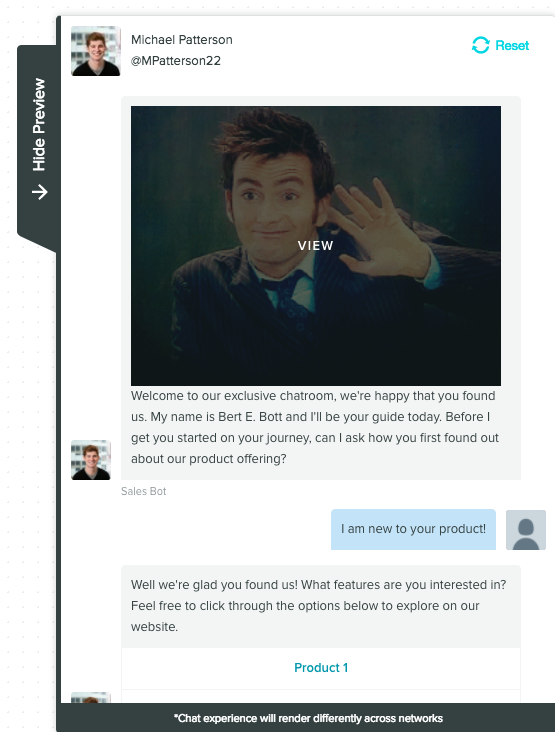 Once the prospect hits the website, a Drift chatbot is triggered to engage with the prospect one-to-one on the spot. Why Would Anyone Want a Bot On Their Website? Being able to start a conversation with a chatbot at anytime is appealing to many businesses who want to maximize engagement with website visitors. By always having someone “on call” to answer questions and book meetings with prospects, chatbots also make it easier to scale lead generation with a small team, or no team at all. But having a chat “bot” doesn’t necessarily mean all interactions–or even a majority–are with a non-human entity. At Drift, humans staff chat most of the time, except after-hours, when the bots step in to solve problems and schedule sales meetings. This is the same approach many Drift users implement in their respective businesses. In this way, Drift makes it easier for businesses to provide 24/7 lead response times to website visitors. As you move forward with your plans, remember this isn’t all about you. It’s about creating a unique experience for your customers. When deciding which chatbots to implement, it’s important to understand your audience and evaluate the communication channels you use to connect with them. This will help you prioritize which types of chatbots you should implement and what messaging you should utilize. The popular travel search engine Hipmunk promises to answer travel questions and provide recommendations to travelers through its Messenger chatbot. In its welcome message, customers can choose from travel advice, search flights and search hotels. The Whole Foods chatbot lets users search its database of recipes—a smart choice for a grocery chain. The bot kicks off the conversation by explaining how it works. You can either search for something specific or browse through its recipe database by type of dish, cuisine or special dietary restriction. What makes the experience even more fun is customers can mix and match text and emojis. You can enter a word using text or simply select the emoji that matches the food item you’re searching for. The company plans to add more features, including the ability to link the chatbot to your Whole Foods account, save recipes for later and sign up for coupons. As one of the first bots available on the Messenger Platform, 1-800-Flowers enables customers to order flowers or speak with support. If choosing to order, customers are asked to provide the delivery address and are then given a carousel of arrangements to choose from. Chris McCann, president of 1-800-Flowers, explained the response from customers has been positive. In a conversation with Digiday, McCann said more than 70% of the company’s bot orders are from new customers. Evernote is a great example of a company effectively leveraging chatbots for customer service. They’ve created a robust experience to collect support tickets to hand-off to internal teams for follow up. Evernote can then follow up with users with the users directly on social. As you get excited to start creating your own walking, talking robots (maybe not the walking), here are some tools that can help you on your way. We’ve chosen chatbot tools that will satiate your social media, website and customer support ticket needs. Sprout believes that automation should not replace humans; rather it should augment their workflow to result in better and faster outcomes. Automation should support repetitive tasks and then transfer customers to human agents once they have the proper context to resolve their issue. Sprout’s Bot Builder enables brands to streamline the conversation and map out these experiences based on simple, rules-based logic. Using Welcome Messages, brands can greet customers as they enter a Direct Message interaction on Twitter. Welcome Messages can be used to say hello, ask a question or provide instructions on how to get started. 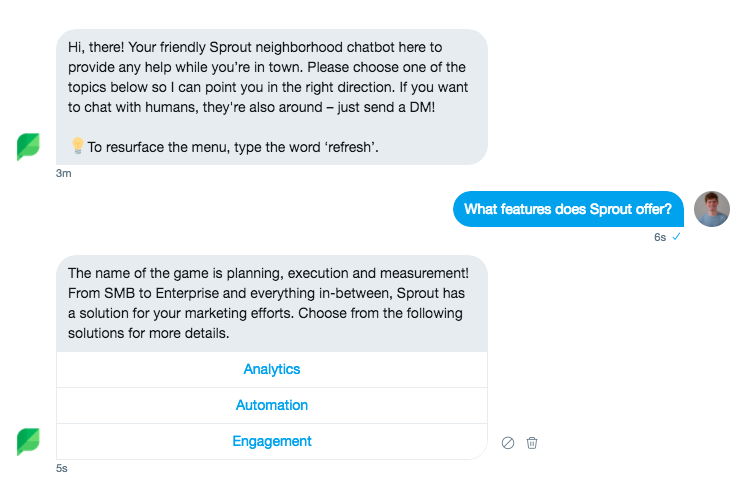 If you’re looking to automate prospect or customer engagements on Twitter and Facebook, Sprout could be the perfect solution for you. Start your own free trial today! Drift is a conversation-driven marketing and sales platform that connects businesses with the best leads in real-time. As users navigate your website, Drift allows you to directly message them within the browser or to serve them an automated chat experience. As users interact with your chatbot, you can collect key information like their name, email address and phone number for follow ups. You can also give Drift access to your calendar to directly set up meetings or demos. Zendesk’s Answer Bot works alongside your customer support team to answer customer questions with help from your knowledge base and their own machine learning. 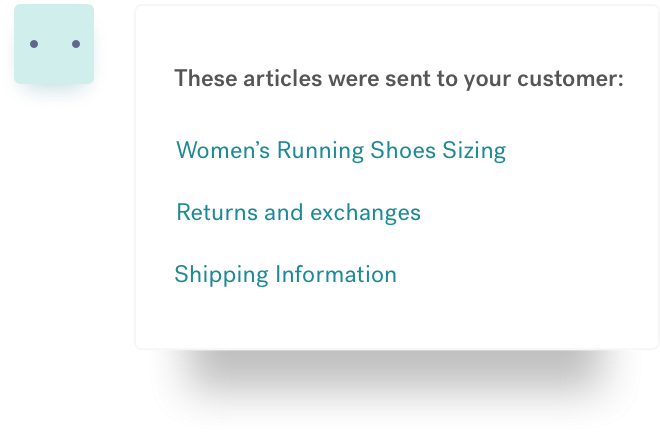 When a customer emails a question to your business, Answer Bot finds the most relevant articles fitting their query and sends them to the customer. If the ticket is resolved, nothing more happens. If not, that question is then routed to your support team for a personal follow up. Sprout Social believes robots should never fully take over your social media presence. While we don’t advocate for only-automated social conversations, our suite of automation features has the power to enhance both the customer and agent experience by bolstering speed and efficiency. By leveraging chatbots, brands have a more informed support team with each social interaction and a reduction in customer effort leading to a superior customer experience.